Anglican and Catholic bishops from 19 regions of the world where Anglicans and Catholics live side by side will be meeting together from 30 September to 7 October, under the auspices of the International Anglican and Roman Catholic Commission for Unity and Mission (IARCCUM). An Anglican and Catholic bishop from each region will be participating. Cardinal John Dew and Archbishop Philip Richardson will represent the Catholic and Anglican bishops of Aotearoa New Zealand. The bishops will arrive in Canterbury, England, for the first part of their meeting on 30th September. 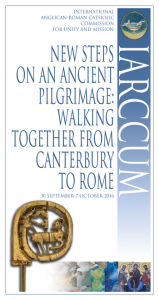 They will take part in the liturgical life of Canterbury Cathedral, and will make a pilgrim visit to the shrine of St Thomas à Becket, where Pope John Paul II and Archbishop Robert Runcie prayed together. 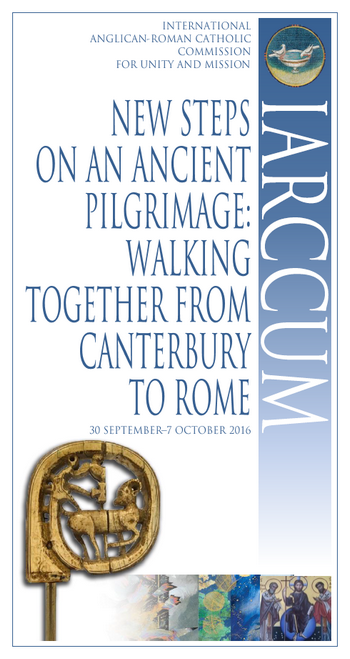 The bishops will travel to Rome on 3rd October. There they will make a pilgrimage to the tombs of the apostles, Ss Peter and Paul, and will participate in vespers celebrated by Pope Francis and Archbishop Justin Welby at San Gregorio al Celio on 5th October. This marks the 50th anniversary of the historic meeting between Pope Paul VI and Archbishop Michael Ramsey. At these vespers it is anticipated that the bishops will be mandated by Pope Francis and Archbishop Welby, in their ecumenical mission. The purpose of the meeting will be to discover new ways in which Catholics and Anglicans can give greater witness to their common faith, and particularly how they can collaborate in mission to the world. The meeting will begin by listening to the bishops’ own pastoral challenges, and they will also reflect together on the previous documents of IARCCUM, in particular, Growing Together in Unity and Mission.